Your hot water heater is an essential appliance in your residential or commercial property. When your hot water heater is not working at optimal performance, you will not have hot water for showering, washing hands or killing bacteria on your dishes. This has a negative impact, whether it happens at home or at your office. When your hot water heater fails, you need immediate help and at Downey Plumbing we offer that help 24 hours a day, 7 days a week. Whether you need a major repair or a minor repair, we are available to help. Our highly trained specialists can help troubleshoot and determine the source of the problem and immediately take steps to correct them. Once repaired, you may want to consider a maintenance plan on your hot water heater to make sure that you do not have future issues. Whether you require a new hot water heater, regular maintenance, or are in need of an emergency repair, call Downey Plumbing and we can be out to your home or office within an hour or two. We guarantee our work, and your satisfaction! Energy efficiency of your water heater can be improved through its correct installation and maintenance. Correct installation is performed after the homeowner considers the important factors such as local building code requirements, fuel type, climate, and safety issues. Thus the best option would be to invite a qualified plumbing and heating contractor to install your water heater like the one from Downey Plumbing Heating & Air Conditioning. 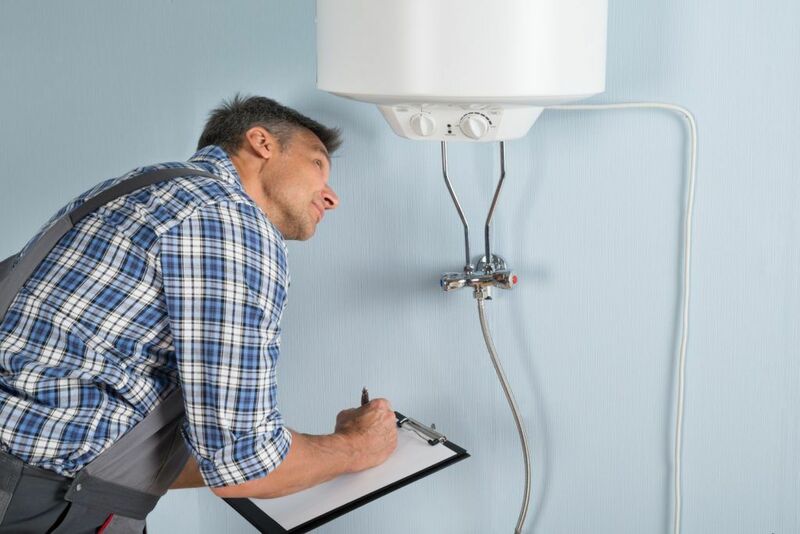 Present day water heaters are constructed to require little to no maintenance, but many issues can be avoided with regular check-ups. Regular water heater maintenance can significantly prolong its lifespan and guarantee energy loss saving. Drain the tank entirely and turn your water heater off to prevent flooding, if you know that you will be gone for the winter. Every year flush the water in your water heater – this simple procedure clears the tank of sediment build-up, prolonging the service of both the tank and the heating element. Inspect the pressure-relief valve by lifting the valve’s handle and allowing it to snap back. This should release a burst of water into the overflow drainpipe. If it doesn’t, replace a valve. Lower the temperature setting on the thermostat to 120 degrees. This prevents overheating of the tank. At Downey Plumbing Heating & Air Conditioning our water heater experts will be eager to answer all your questions. Let us help you choose the right model, size, location & design of your water heater. Is it inspection you are looking for? Go no further! We can meet all your needs and make sure your water is always HOT when you need it! Water heating is the second biggest energy expense in your home. 18% of your utility bill is usually the cost for water heating. The type of water heater you choose directly affects your water heating costs. One type of water heater uses a more efficient fuel type than the other. For instance, an electric heat pump water heater might have lower energy costs due to its higher efficiency in comparison with a gas-fired conventional storage type. Energy can be wasted even when a hot water tap is turned off, because water is constantly being heated in the tank. This is called standby heat loss. Tankless water heaters (such as demand-type water heaters and tankless coil water heaters) prevent standby heat losses. Tanks of some storage water heater types are heavily insulated, which substantially reduces standby heat losses and cuts annual operating costs. Gas and oil water heaters suffer energy losses related to venting. A lot of homeowners choose a tank-type water heater – a large, cylindrical tank standing on end with pipes attached to it. If you know the different types of water heaters available in the market, it is easier to make the right decision when purchasing one. Specialists from Downey Plumbing Heating & Air Conditioning will help you reach your goals when it comes to water heating systems. Research shows that water heaters are the second highest source of energy consumption at your home. They are the perfect choice for energy savings, functionality, and reliability. 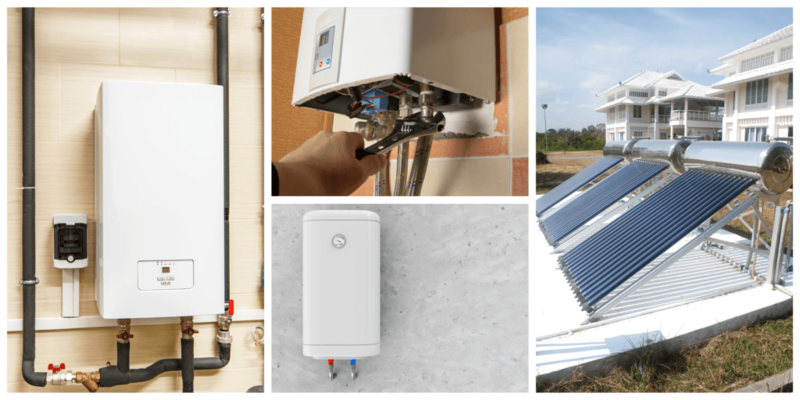 Highly efficient water heaters such as tankless coil and indirect ones use less energy than conventional units, saving homeowners money on their utility bills in the long run. To reduce your monthly expenses on water heating, select the appropriate water heater for your home or pool, using some energy-efficient water heating strategies. At Downey Plumbing Heating & Air Conditioning we will gladly share them with you. Also a couple of easy do-it-yourself projects such as insulating hot water pipes and regulating your water heating temperature, can also contribute to saving both money and energy on your water heating. While selecting a new storage water heater, consider its size and first hour rating, fuel type and availability, energy efficiency and costs. At Downey Plumbing Heating & Air Conditioning our technicians will do the job for you, helping you choose the water heater that will suit your needs. Water heaters employ a significant amount of energy at your home, accounting for about 20 percent of your total energy use. With time this number increases due to the long and faithful service of your system, and the units get even more expensive to operate. There is no need to wait until your hot water heater breaks down or becomes inefficient. The best decision would be to replace or upgrade it as soon as any problematic issues arise. At Downey Plumbing Heating & Air Conditioning we will offer you a bunch of options available that will help keep your home a safe place as well as save you money on your utility bills. Our water heater repairs and replacements are reasonably priced and affordable, so you can rest assured that we won’t bring you any hidden surprises. Before starting any repairs, our technicians will precisely evaluate the cost of the job. 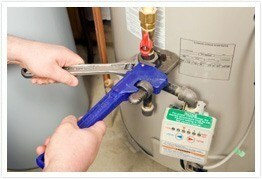 The next time you require any kind of water heater repair/replacement, do not panic. At Downey Plumbing Heating & Air Conditioning we are available for timely, friendly and reliable service, because we know that having no hot water is not fun at all, so we are capable of fixing that problem ASAP.